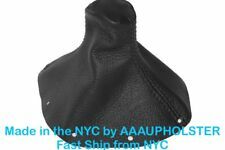 Center Console Armrest Assembly Black 9p1858186pt7 Oem Porsche Boxster Cayman 718 2017-18 . 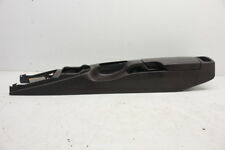 1997-2004 Porsche 986 Boxster Front Center Console Black/Black CD Holder & Tray. Part is in mostly good clean condition - CD trays work properly, all mount holes intact and strong. Black sides hold tight to the main piece. 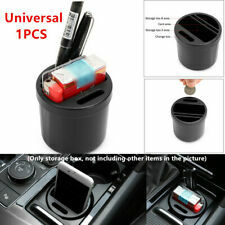 997.553.143.02 Front Console Storage Box. Make: Porsche. Manufacturer Part Number: 99755321101. Used but in great condition. All parts in the pictures are included. The new one was over 300 bucks! How we have this nice used one to replace your smashed broken remnant! As you can see by the picture it has the crack but is otherwise unbroken, can easily be sprayed with marhyde or sem vinyl dye to your level of perfection. 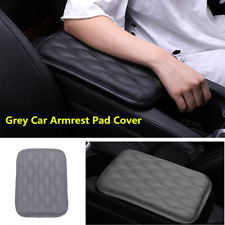 Manufacturer Part Number: 99655259500. Chassis: 986. Model: Boxster. Make: Porsche. Color: silver. Fits the following models:996 & 986. Porsche Boxster 1997-2004. Porsche Boxster S 2000 -2004. 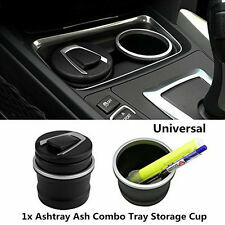 This Lid is good condition, it does have normal wear since it is used. The lid is actual leather and not vinyl. 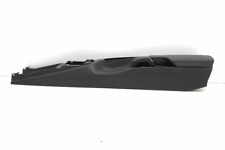 Genuine Porsche Non-Smoker Shelf for 986 Boxster and 996 Models. 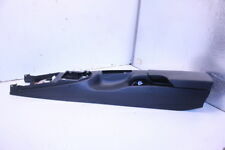 Here is a nice used original genuine Porsche center console ashtray surround piece 996.552.095.00 as used on 2000-05 911/996 Carrera/Turbo/GT2/GT3 and 2000-04 986 Boxster models. Wir sprechen Porsche! Interior.Natural Leather Brown PAG. Color.LB9A,B4 / Carrara White. Chassis: 986. Model: Boxster S. Make: Porsche. Manufacturer Part Number: 99655209502. Color: Grey. Factory Bose rear shelf subwoofer / speakers for a 2005-2012 Porsche 987 Boxster. Removed from a 2005 Boxster that had the black colored interior. All speakers are in good working condition. Includes what is shown in the photos. New Genuine Porsche upper storage cubby. Boxster & Boxster S 1997-2004.5. It was removed from a 996 C4S for an upgrade. The console shows signs of wear with a few small scratches and scuffs here and there but is still in good condition. FITS 996 CARRERA TURBO GT3 GT2. 986 BOXSTER. PORSCHE CENTER CONSOLE. PORSCHE CHANGED DESIGN TO A SEPARATE HINGE. GLOSS BLACK. INSTALLATION AVAIL. OF GOOD USED CORE. Factory Genuine Porsche storage cubby bin/radio support shelf. 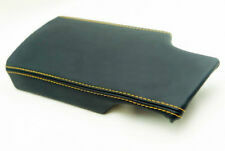 Looking to replace your CD holder and add more storage to your Porsche 996?. 996 C2/C4/C4S (1999-2005). 996 Turbo/GT2 (2001-2005). 996 GT3 (2004-2005). 2005 Porsche Boxster 987 2.7L Base Model Beige Center Console Armrest OEM. This part was dismantled off of a 2005 Porsche Boxster 987 2.7L with 109k miles. New Genuine Porsche lower storage cubby. Boxster & Boxster S 1997-2004.5. Removed from a 2000 Boxster with a Savanna Beige interior. The sliding doors both open and close smoothly. You will need to reuse your existing speakers, or source new speakers for installation. You will need to reuse your existing hardware for installation. 1x PCM 3.0 iPod & iPhone Interface Cable. Boxster 2009-20012. Cayenne 2008-2010. Cayman 2009-2012. Manufacturer: Genuine Porsche. for models with ipod/Audio Interface. Boxster & Boxster S 1997-2004.5. 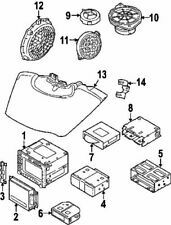 FITS 996 99-05 AND 986 97-04. 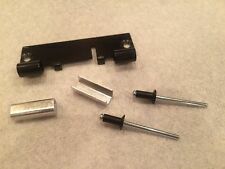 ORIG PORSCHE CENTER CONSOLE 4 PIECE KIT. SO IT CONTINUES FROM CENTER OF UPPER DASH DOWN THRU CENTER CONSOLE. PORSCHE UPDATED IN MY02. 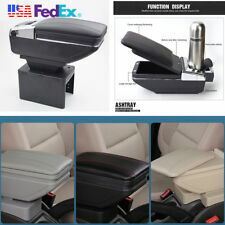 EARLIER CARS MAY REQUIRE UPDATED CENTER ARMREST HINGE KIT.